The Philippines is known as one of the larger fish producing countries in the world, producing 3.1 million tons of aquatic animals in 2012 (F, 2015). 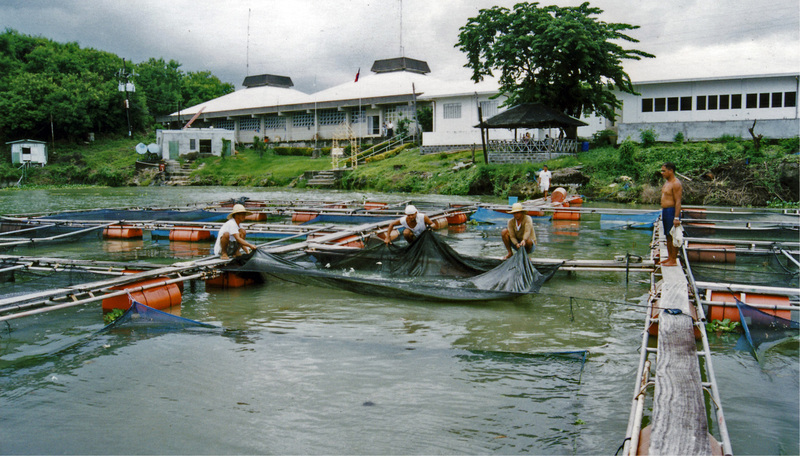 Fisheries are a large part of the Filipino economy, the combined fishing industry contributes 1.8 percent annually to the countries GDP (based on info from 2012). While well controlled fisheries and aquaculture have the potential to help the country’s economy, and provide access to protein, there are some environmental concerns relating to fisheries. One of the largest environmental issues the Philippines is facing is the destruction of mangrove forests and other marine habitats for the creation of fish ponds (for fisheries). Many of these fisheries are illegal, so often these illegal ponds are abandoned, leaving no economic benefit and a destroyed habitat. Many mangrove areas have been allowed, by the Department of Environment and Natural Resources, to be developed into fisheries (Primavera, 1995). Since mangroves offer so many ecosystem services, thier destruction often leads to there being greater amounts of pollution (since the mangroves are no longer there to filter these pollutants). This greater pollution leads to fish being raised in polluted environments, which is not only negative for the fish, but also for the people who are ultimately ingesting the fish. While it is apparent that there is some initial economic gain from the fisheries, the construction of fisheries is very short sighted. Furthermore the fisheries often very adversely impact local communities, which you can read more about in my next blog! If you would like to help prevent destruction of mangroves you help by volunteering or donating to Enhance a Village!